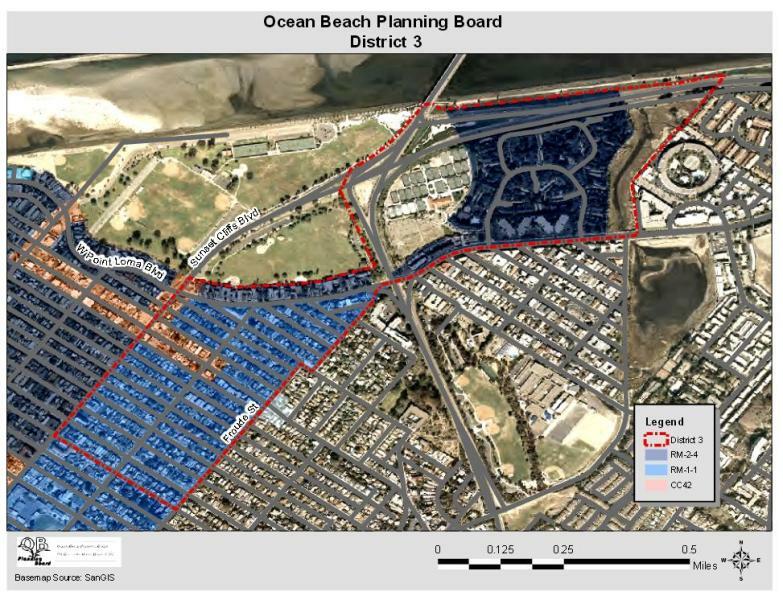 Editor: In our continuing series about the planning districts in Ocean Beach – which will continue up to the March 11th OB Planning Board election – today we focus on District 3 – the north-east quadrant of the community. (For our earlier reviews, go to District 1 and District 2.) A good reason we’re doing this series is because we believe that OB is facing a development crossroads, which means the planning committee continues to serve a very important function. The third district of the OB Planning Area is an anomaly because its neighborhoods are diverse and a good portion is physically separated from the others. 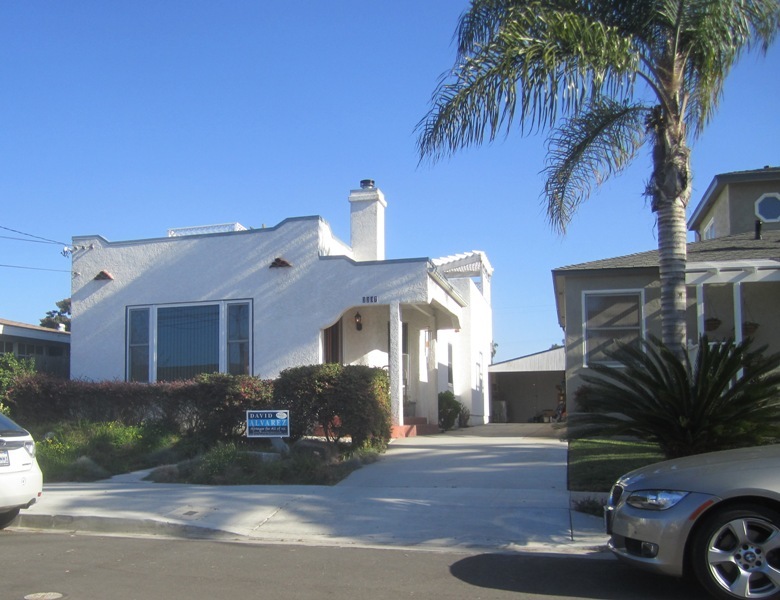 The district includes OB’s most north-eastern area, that neighborhood hemmed in by West Point Loma Boulevard and Sunset Cliffs Boulevard, but also includes a huge section on the other side of Nimitz Boulevard that has some more expensive condos as well as a sizable area of affordable housing. The district almost looks like a giant bow tie (or maybe a giant seagull) with two large wings centered at Seaside and Nimitz. 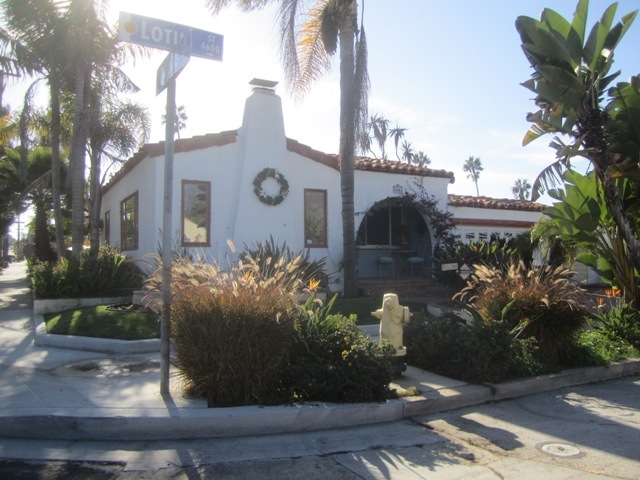 It has Sunset Cliffs Blvd to its west, the alley between Cape May and Saratoga Avenues as its southern border and Seaside and Froude Streets for its eastern border. Then it jumps Nimitz and includes the Barnes tennis center, all the condos on that northern side of West Pt Loma and then also Mariner’s Cove. District 3 is primarily residential with its west wing being mainly single-family homes, with a lot of older stock and numerous rehabs. 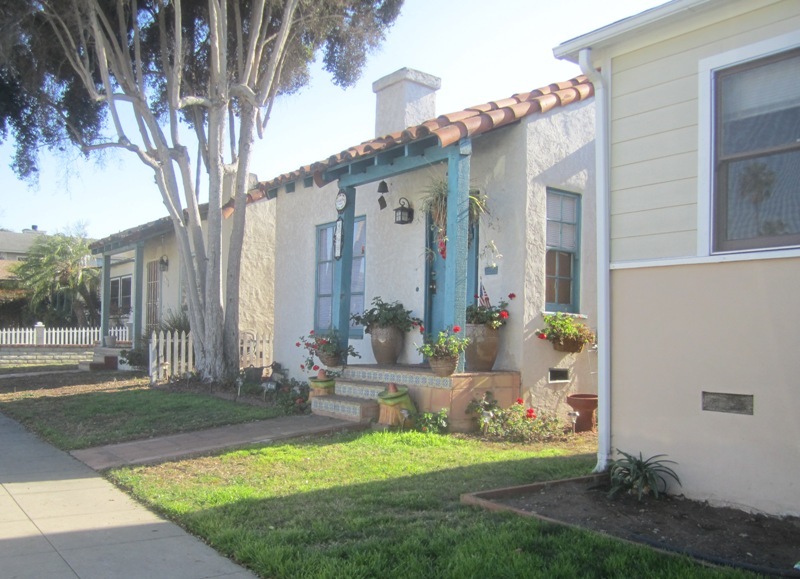 There are some apartments along West Pt Loma and Voltaire but mainly this side of the district has one-level homes, cute cottages and 2-story rehabs. Once you cross Nimitz however, it’s another story. All condos and apartments. 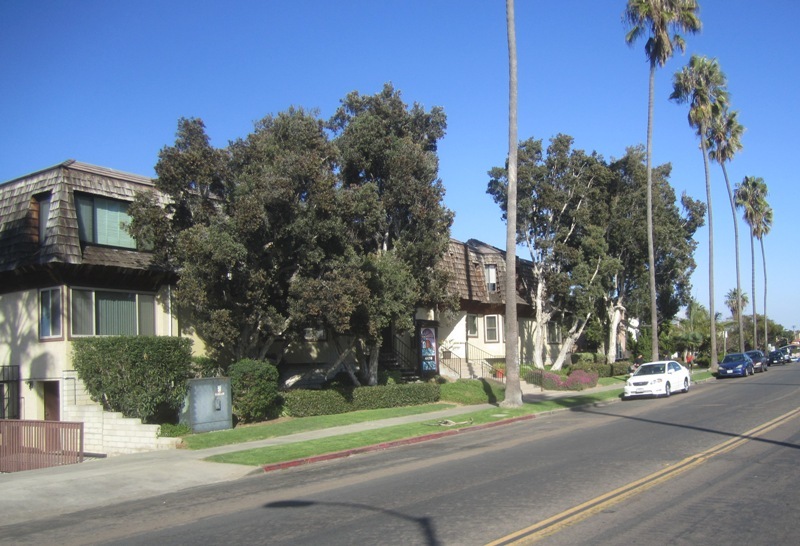 Apartments cram the north side of West Pt Loma. 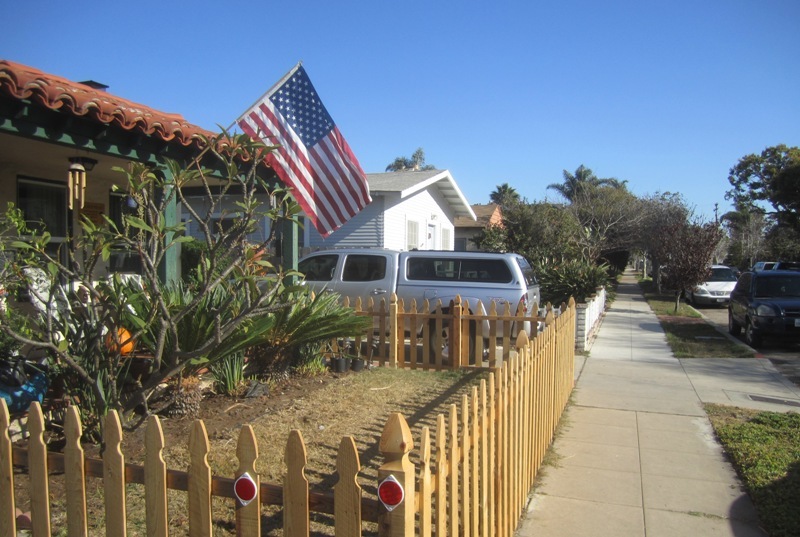 There are a few businesses in the district, along Sunset Cliffs Boulevard and down Voltaire. 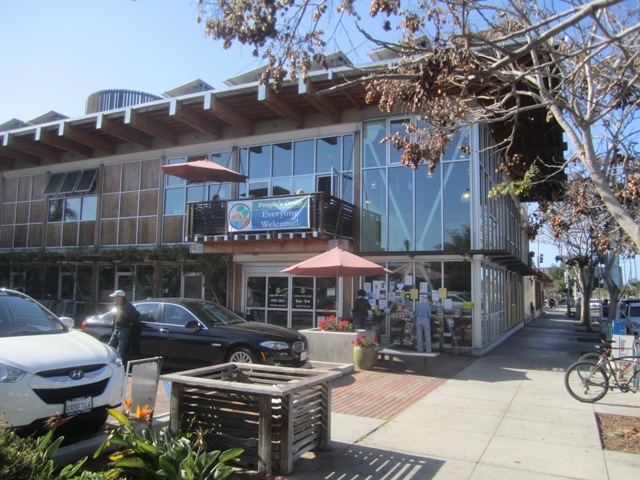 Among these are a high-end and well-known German restaurant as well as People’s market – the largest employer in Ocean Beach. People’s is OB’s largest employer. Other businesses include small market and liquor stores, a gas station, a bar, a boutique salon, a couple of auto repair shops, and a few other fast-food and small businesses. 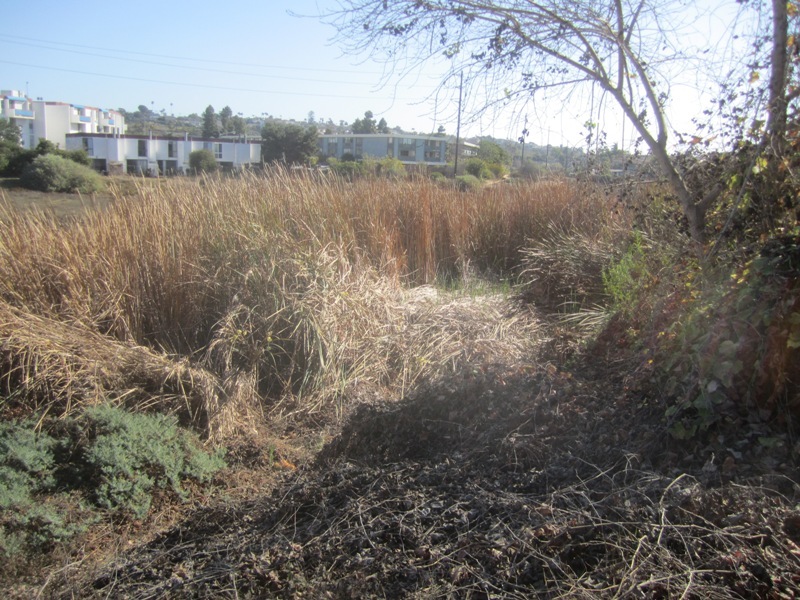 Fortunately for district residents, it also butts up against several parks or nature areas. 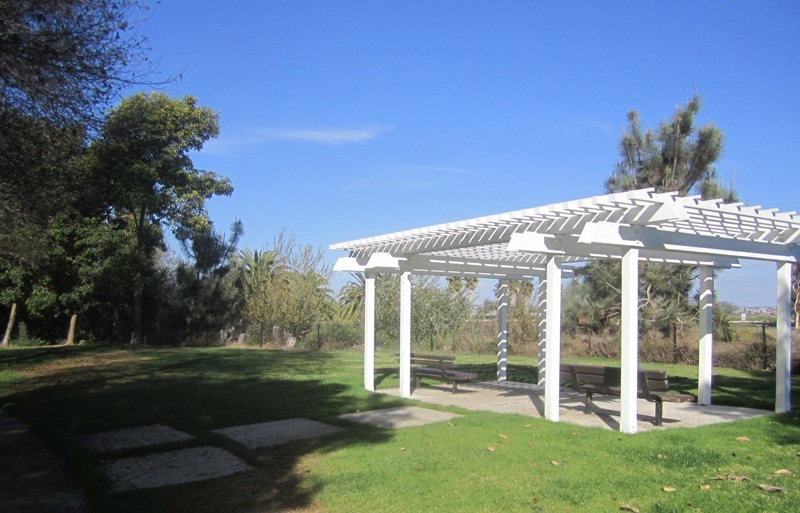 The district borders the giant grassy area known as Dusty Rhodes Park and its dog parks. It’s also just a block or two from Collier Park, the native plant preserve and a community garden to its east. It includes the privately-run Barnes tennis center and the northern portion of the Famosa Slough and a slice along the San Diego River. Cute cottages on Lotus Street. 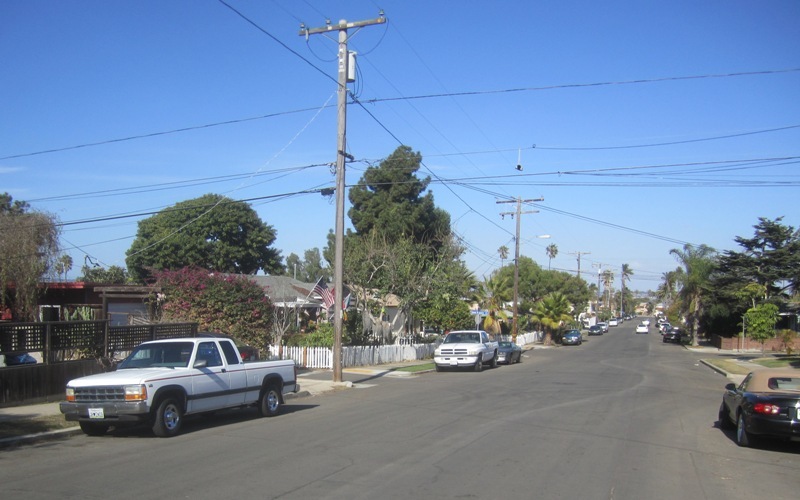 District 3 includes part of one of the oldest neighborhoods in OB as well as one of the newest. 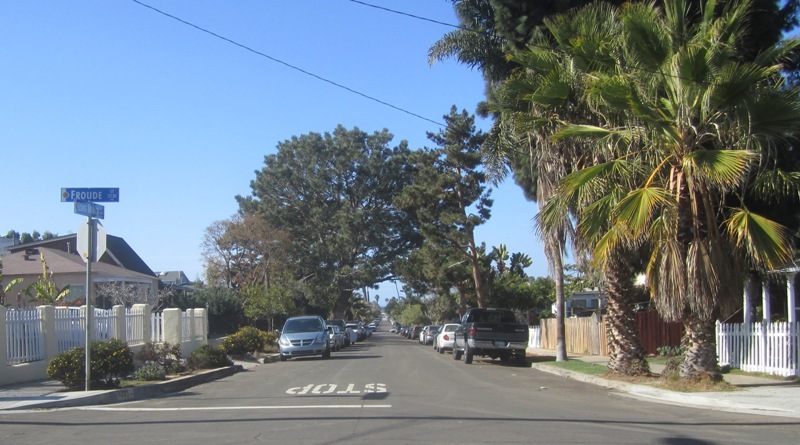 The streets east of Sunset Cliffs, south of West Pt Loma and north of Voltaire are part of the old “DePuy Subdivision“. J.M. 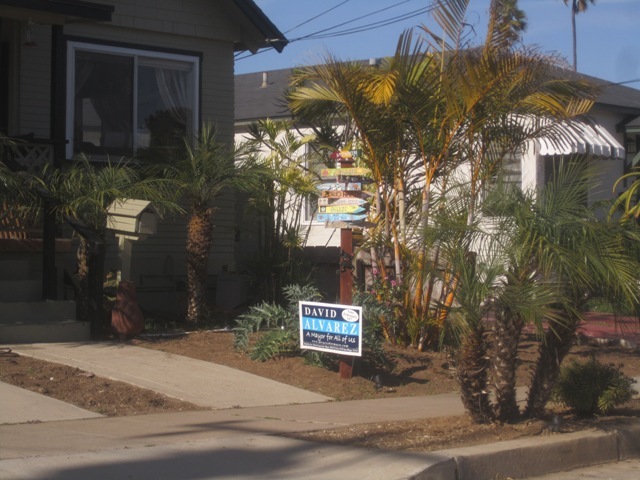 DePuy was the very first OB land developer who drafted OB’s northeast blocks and named its streets, filing the first sub-division for any portion of Ocean Beach. The “DePuy Sub-Division” covered what is now north-east Ocean Beach in 1885. 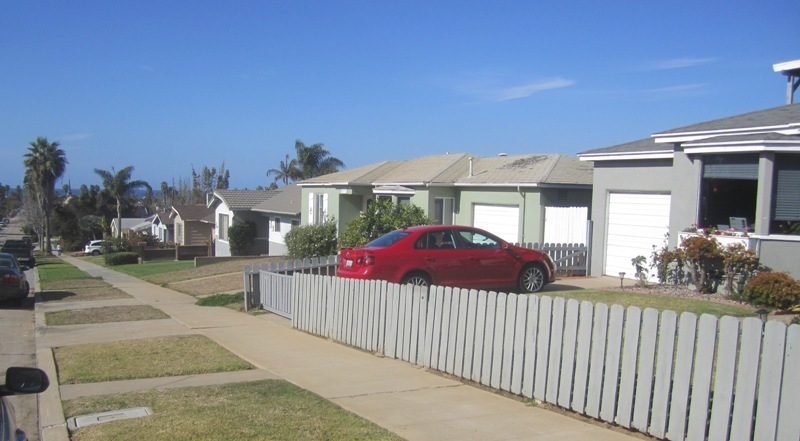 The blocks in this area don’t have alleys – unlike much of the rest of OB, which allows for deeper lot sizes on some blocks. 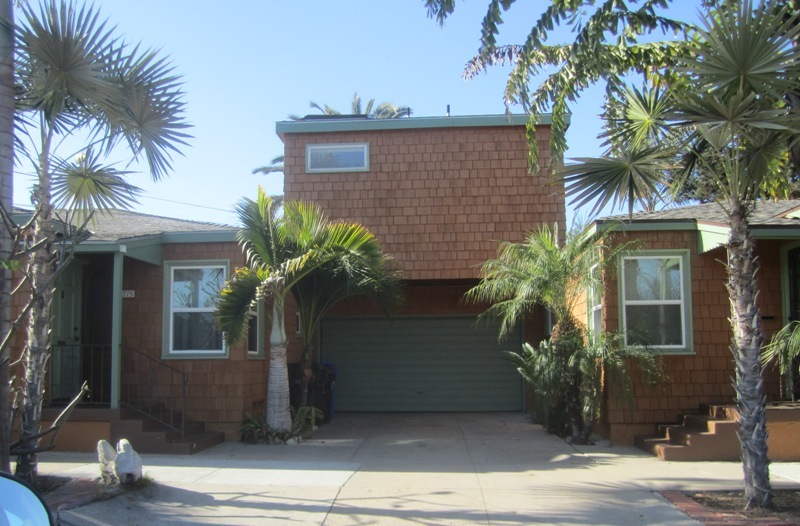 There are many small, older homes in this section, and many creative rehabs. Did you ever wonder why there is this huge empty intersection in Dist 3? Used to be the trolley station site. 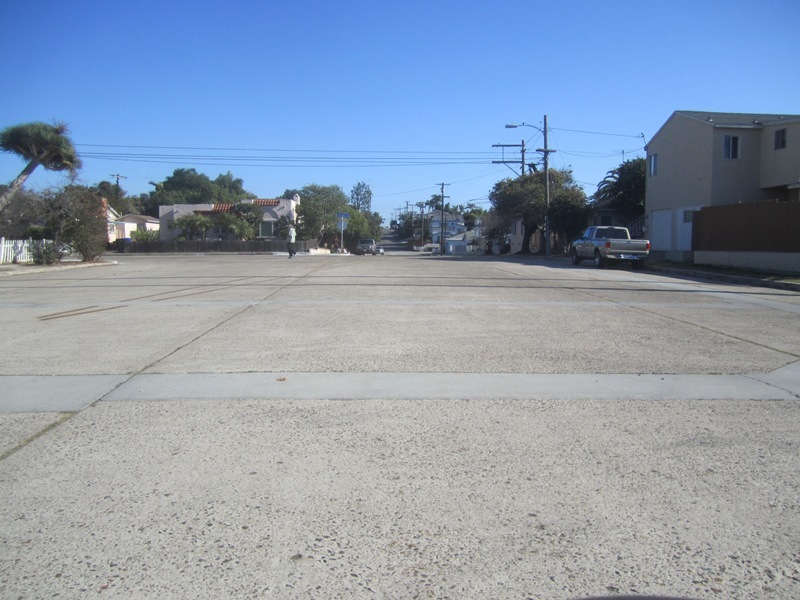 Also this neighborhood of OB has a wide, bare intersection at Greene and Seaside – that has puzzled local residents for year. It’s actually the old site of OB’s trolley station from years ago. Why this portion of the district is cut off at Seaside may seem mysterious. Aren’t the blocks just to the east just as much “OB” as to the west. They certainly are. Same could be said for the blocks just to the east of Froude – the other part of the eastern boundary of the district. Shouldn’t Collier Park be in OB? Certainly it should. Well, why are these boundaries there, then? It all goes back to when the City of San Diego’s Planning Department mapped out the initial OB Planning Area during the early and mid-1970’s. 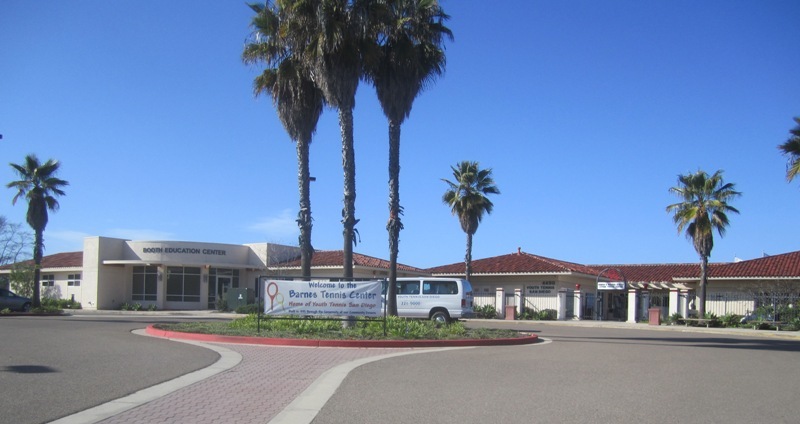 Whether it was deliberate or not, part of OB was sliced off, and DePuy’s original OB sub-division was split between OB and the Peninsula Community Planning Board area. A whole half of the district is across Nimitz Boulevard. As stated, it includes only the land on the north side of West Pt Loma once you make the cross. 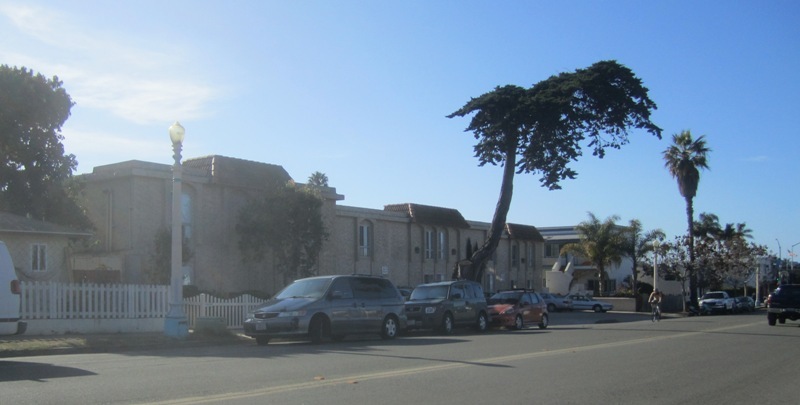 The land to the south is often referred as the “forgotten area” of the Peninsula, the neighborhood that surrounds Correia middle school and the Peninsula Y. This area is actually closer to OB than the area on the other side of the boulevard. Right across Nimitz is the Barnes tennis center, a privately-run facility open to the public. This all used to a large sand lot, and was reserved for public parkland. Next to the tennis center are a couple rows of 2-story condos and apartments, some of the more high-end units around – the closest thing to a gated community that OB has. A typical scene in Mariner’s Cove. And just to the east of these condos is the large affordable housing tract known as Mariner’s Cove. 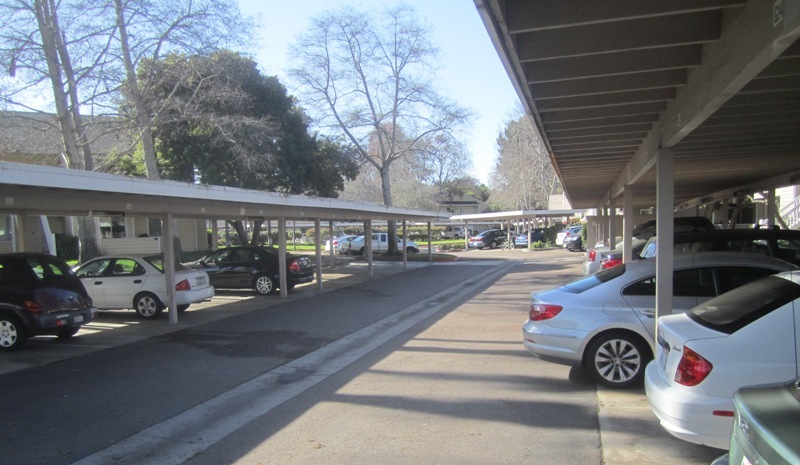 It includes approximately 530 units built in two-story buildings with 16 units apiece settled among large trees, grassy lawns, meandering cement walks, and parking lots. 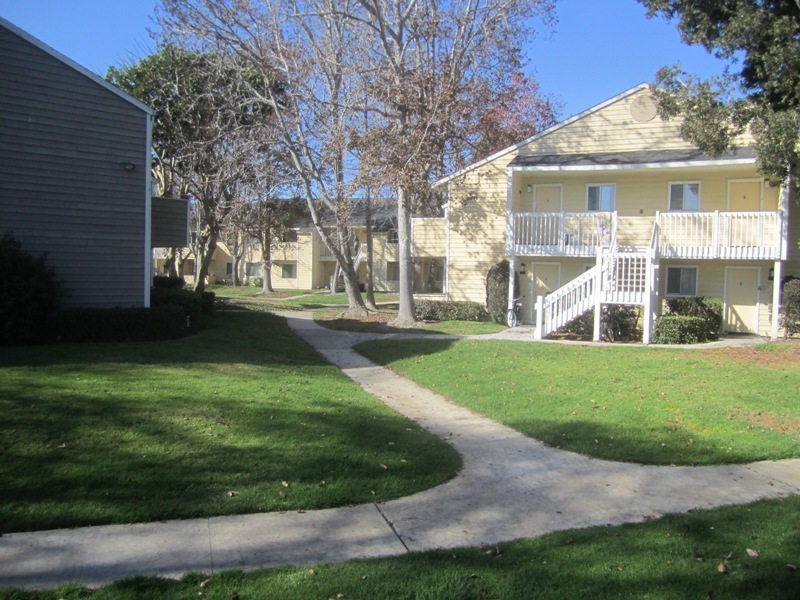 These housing were built in the late 1970’s or early 1980’s, and they represent a census tract that allows OB to receive federal funds through the Community Development Block Grants. This area – although legally part of OB – doesn’t seem like OB when you’ve walking through it. Until you realize the San Diego River is right there and so is OB’s freeway. With over 500 units of modestly-priced housing, this area must be fertile ground for progressive, Democrat or independent candidates. The east side of Mariner’s Cove is right next to part of Famosa Slough – a natural waterway that has survived years of battle between developers and environmentalists. 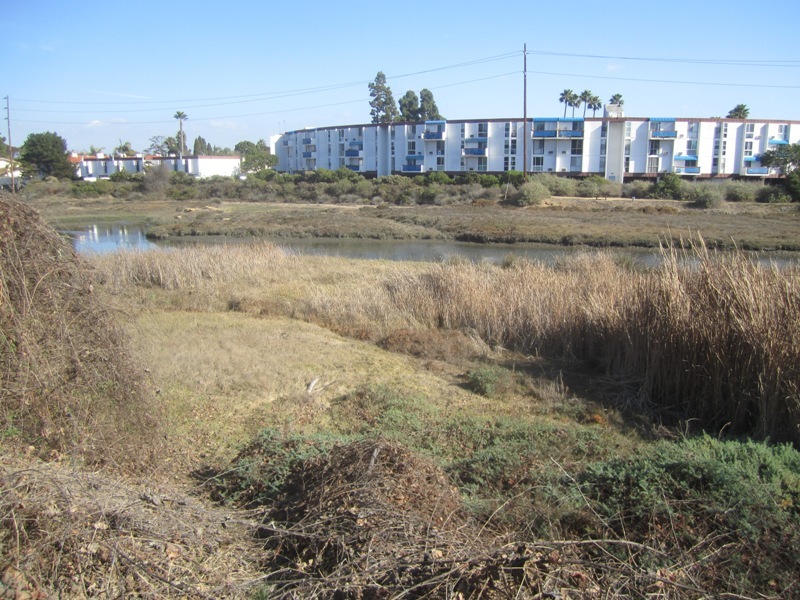 Famosa Slough is what the entire Mission Bay area looked like at one time. Before Mission Bay was developed in the 1950’s into the largest aquatic park on the West Coast. 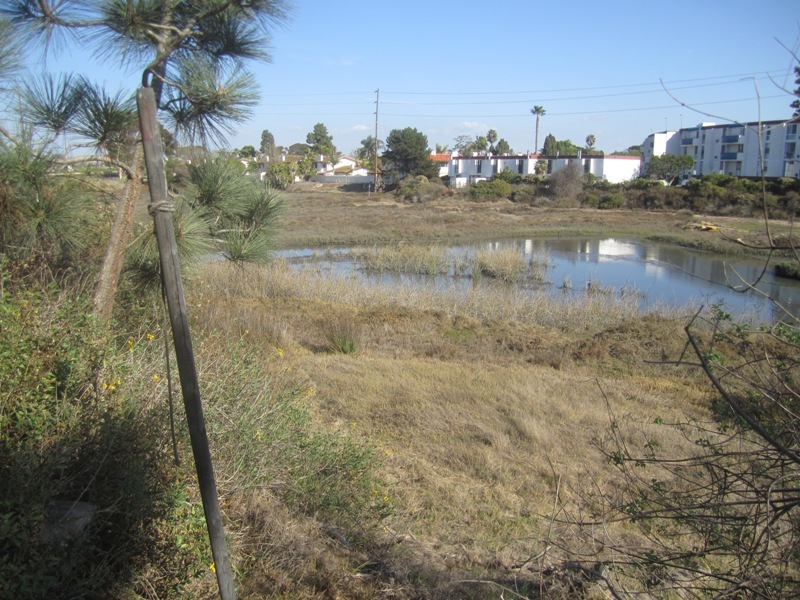 The slough was saved over years by strong-willed ecologists who resisted efforts to drain it and have it be the site of hundreds of apartments. Remember – you’re still in Ocean Beach officially. 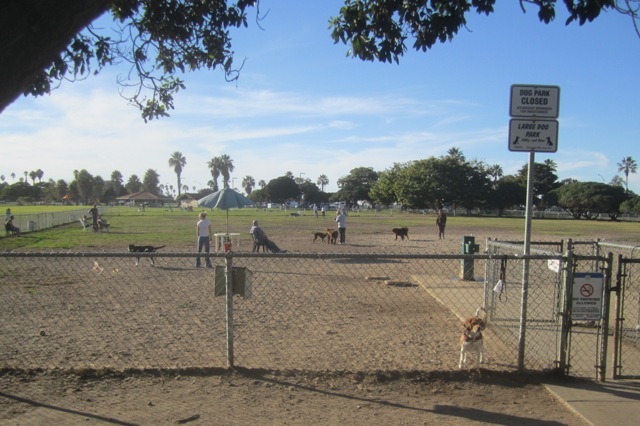 OB’s other dog park – in Dusty Rhodes Park – which officially is part of Mission Bay Park. Huh? Originally all of Robb Field and the large area known as the “triangle” before it was developed were in the OB Planning Area. 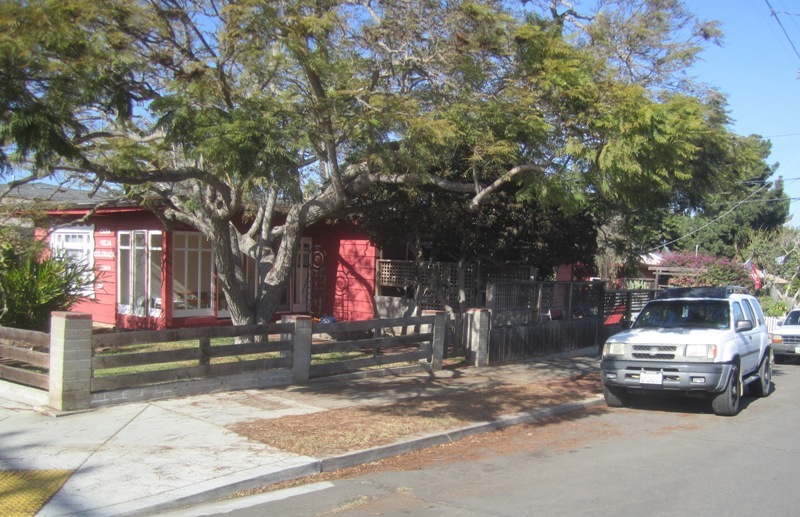 Sometime over the last couple of decades, however, the City and its Mission Bay directors finagled Robb Field and Rhodes Park into Mission Bay in order to add acreage to the Park’s overall numbers. With the added acreage from OB – and from other nefarious sections of the area – Mission Bay Park was able to grow and enlarge itself. This enabled the City to lease more acreage to private developers and interests – like hotels and SeaWorld. What years these rips occurred is unclear to this writer. But I do know that the originally OB Planning Area included Robb Field and what became Dusty Rhodes Park – and I have the maps to prove it. And Dusty Rhodes Park ought to be in District 3. Currently, District 3 has as its 2 reps Scott Therkalsen and Andrew Wilson. Scott has been on the Board several years now and is at times one of its more outspoken environmentally-conscious members. Andrew just took his seat a few months ago. Join me now as I meander through the streets of the district. Huge Torrey Pine on 4600 block of Long Branch. Ye ol’ red house on Froude. 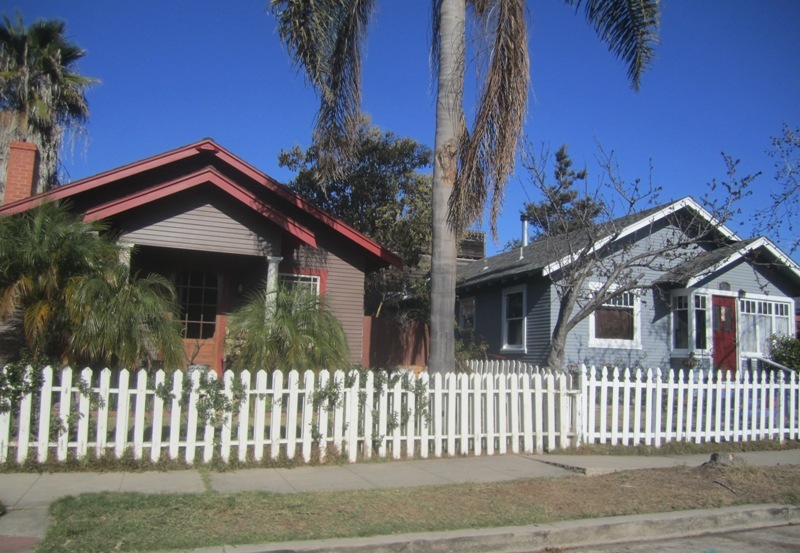 Single family homes in District 3 – here there is a little slope. 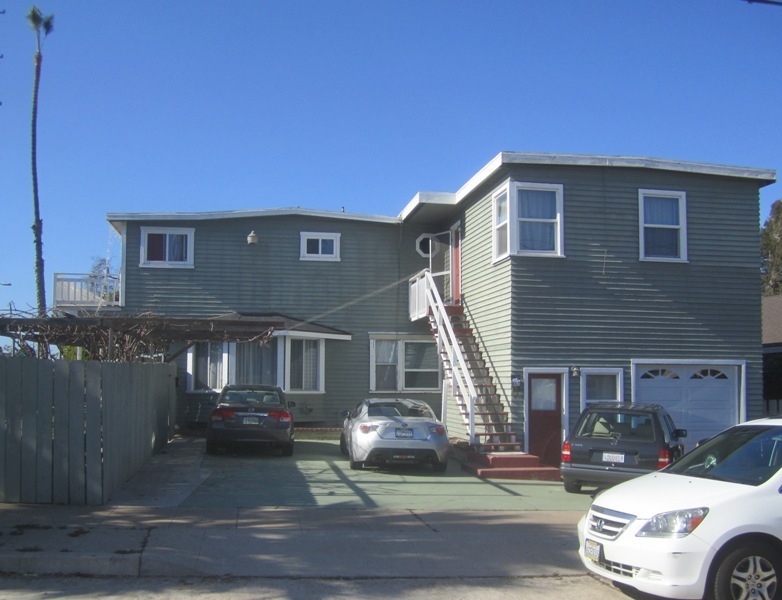 There are a number of 2-story single-family units built over the last couple of decades. Along Froude – the eastern boundary of the district. Yea, I used to live in this district. It’s not like my neighbors and I actually knew which district we lived in, as many of these districts do not have defining borders. District 3 is right on, many fine people live there. And you’re right about Froude being a weird line for the border with Point Loma. I have friends who live in that next block and they defintely consider themselves in OB. I wonder why the OB Community Garden isn’t “on the map”. It’s at the end of the street where I’ve lived in a very stable “apartment community” for 30 years. Even though traffic noise from Nimitz Blvd. is sometimes maddening, it’s a good place to live.